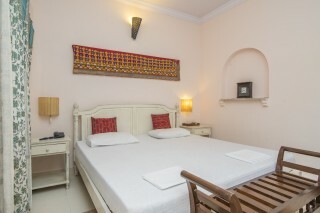 Situated just 1.6 km from a famous restaurant Copper Chimney, this is an offering of a private room in a villa that can accommodate up to three guests. Generous parking area makes parking convenient for those on a road journey. 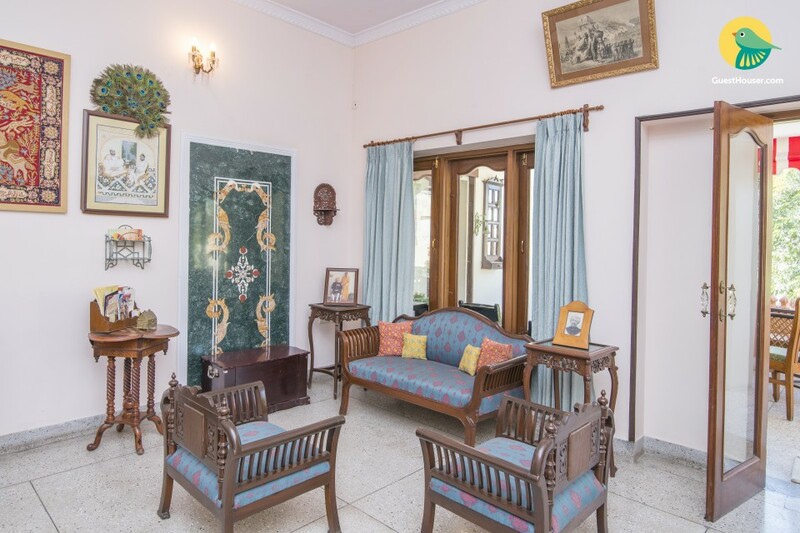 Your Space Enhanced by a well-manicured garden punctuated by lush creepers, myriad plants, and vintage seating, this impressive villa ensures homely comforts. 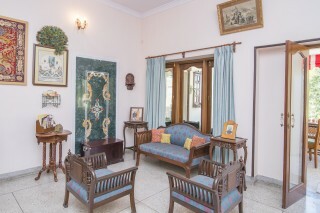 The living room is tastefully done, with upholstered sofa and armchairs, intricately done tables with photo frames, and paintings and eye-catching wall art lends the room a distinctive touch. 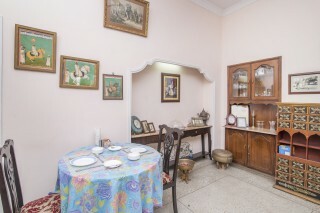 This room is also appointed with dinettes and archaic artefacts, which accentuates the room. 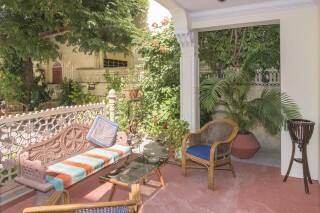 The adjoining balcony is graced by bougainvillea creepers, potted plants, and comfy sofa and chairs, thereby making for an ideal place to interact with travel companions. 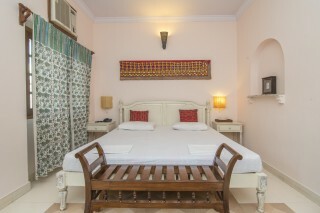 The room on offer is done in white hue and furnished with a double bed with bedside table lamps for reading convenience, a wall-mounted television, a study desk, a white-coloured wooden wardrobe, and an ornate dressing table. The en suite bathroom has toiletries and appointed with contemporary sanitary ware. Sheesh Mahal (Approx. 9km) and Birla Mandir (Approx. 9km) are near to the place. Sheesh Mahal, made of mirrors and glasses is a thing of beauty and splendour. 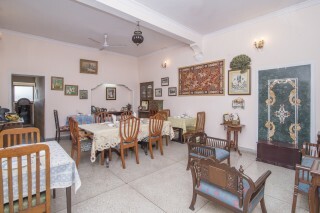 This hall was constructed by Raja Jai Singh in the year 1623 for the purpose of meeting special guests. Jaigarh Fort, Albert Hall and Nahargarh Fort are few other worthwhile tourist spots. A heritage and luxury stay in the heart of the city. 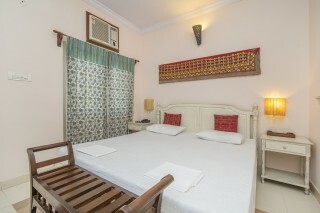 Ideally situated near the bus stand and Jaipur railway station.